Domestic violence is more than just an issue between two people. It is a communal, worldwide problem. Intimate partner abuse affects women and men all around the world and encompasses every single culture. Abuse can be physical, sexual, financial and emotional, and some cases directly involve international matters, like human trafficking or deportation threats. The majority of these cases go unreported, and one of the surprising reasons for this can be an abuser’s use of the norms of the survivor’s culture. Abusers use fear as a tactic to gain their desired sense of power and control over a person. They gain control by using their partner’s beliefs against them. Cultural standards are wrongfully employed as a method to instill terror and give reason to their onslaught of violence. Domestic violence laws are different from one another in various states and countries. However, individual culture is an important aspect of a survivor’s support system. It’s important to remember that the pressures on someone in a domestic violence environment go beyond the romantic relationship. Each culture has a specific set of principles for people to follow. These cultural norms relate to people’s perception of acceptable behavior. These perceptions can continue even when an individual has left their home country. For instance, a cultural norm related to domestic violence would be a survivor’s religion. People refer to the “Higher Power” by a multitude of different names. Some survivors rely on faith as a reason or a justification for their partner’s negative, ill-willed actions. Faith should never mean acceptance of any type of abuse. Faith should translate into understanding peace, happiness and positive values for an individual’s own life. Religion is a prevalent factor in relationships all throughout the international spectrum, and abusers use beliefs to their own advantages. Perpetrators transform the comfort of faith into terror. 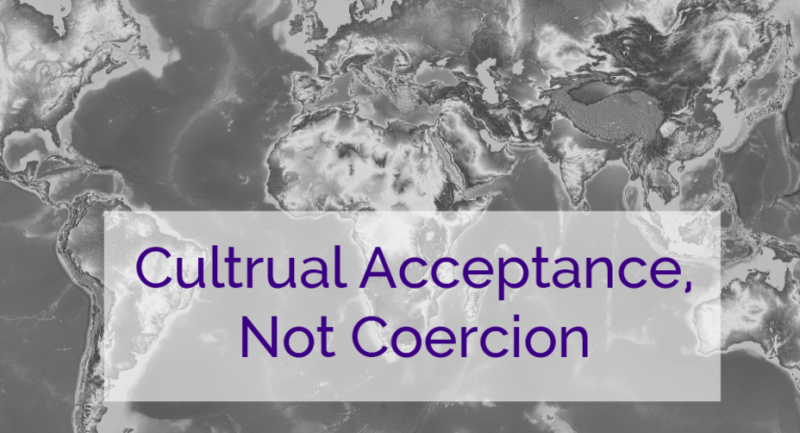 A certain ethnic group’s cultural norms are often used as justification for domestic abuse. 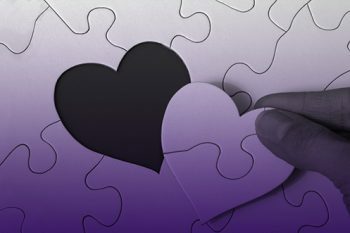 Support systems for a survivor must certainly respect a survivor’s culture and beliefs, but it is imperative to demonstrate that intimate partner violence is not acceptable, no matter where they live in the world and the views of that society. Cultural standards should never be an excuse for any sort of abuse. They never justify harm to others. Yet, domestic violence is still explained away or overlooked due to longstanding cultural ideas. Sometimes people are too attached to their own personal biases and the same stubbornness is taught to future generations. However, several agencies are available to help people, who are in abusive relationships both in and out of North America. Education and awareness are both key elements when supporting survivors. Despite the cultural differences, we must educate children about what qualifies as a truly healthy relationship. It is important to accentuate ideas of appropriate behaviors at an early age to break the cycle of violence. Greater knowledge creates more positive changes.